I love Scandinavia and in particular Denmark and have visited a number of times over the past 30 years. If you are intending to visit Denmark you may have lots of questions about what there is to do in Copenhagen – What to see? How to get around the city? Where to stay?Where to eat? (and what to eat!) 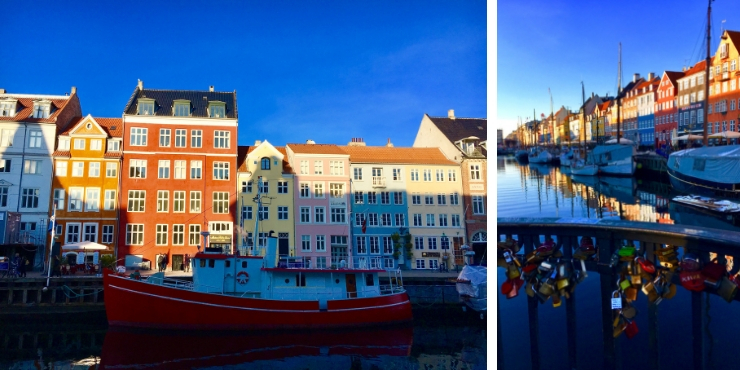 Which places to visit in Copenhagen should you add to your itinerary? To help you plan your visit to the Danish capital here are a few of my favourite things to do in Copenhagen. I have included a map of the various attractions at the end of the post as well as some great tips to know before you visit. If you have seen photographs of Copenhagen then I am sure you will be familiar with Nyhavn and its brightly coloured houses and harbour setting. Nyhavn is the waterfront and canal district constructed in the late 1600’s. It was a busy port area but is now a haven for both tourists and locals alike. There are bars and restaurants aplenty and it is a pretty place to wander. The colourful houses along the canal make this a fantastic place to get that iconic photo! 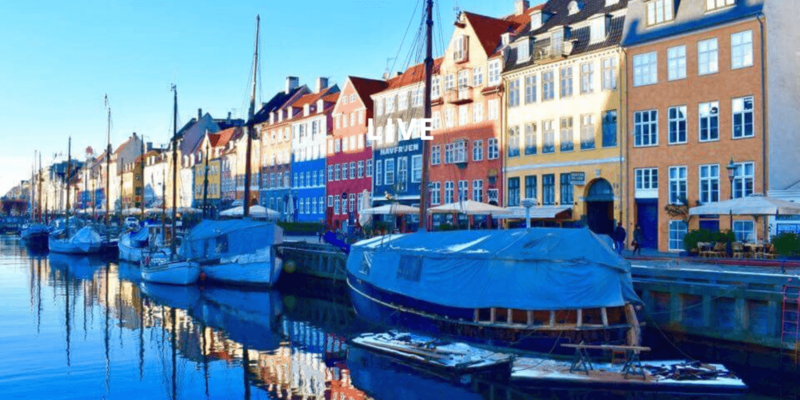 Tracy’s Travel Tip – Nyhavn is the place to go for boat trips. The boats are specially designed to fit under all the low bridges that span the canals and a trip is a great way to get your bearings. See the sights of Copenhagen on a 1-hour boat tour along the main harbour and adjoining canals. Depart from Ved Stranden or Nyhavn and see lovely houses, ancient castles, and beautiful churches along the way. Get off the beaten track and explore some of Copenhagen’s best spots on this 2-hour canal tour. Enjoy a drink and discover the city’s mix of new and old architecture. Hans Christian Anderson’s fairy stories including the Ugly Duckling, the Little Mermaid. and the Little Matchstick Girl are well known all over the world. He was a famous and popular writer during his life time (1805-1875) and spent many years living in Nyhavn. There is a HC Anderson Fairy-Tale House with exhibitions about the man and his fairy stories which you can visit to find out more. 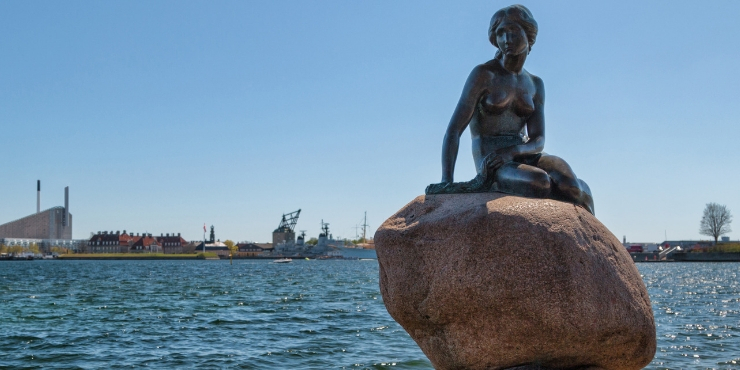 The Little Mermaid (Den Lille Havfrau in Danish) was of course made into a popular Disney film and the statue is one of the most popular tourist attractions in Copenhagen. The statue is only 1.25 metres tall and is made of bronze. It was made by Edvard Eriksen and unveiled in 1913. The statue is about a 10 minute stroll from Nyhavn. If you prefer not to walk there are hop-on hop-off buses available. Most of the cruises also pass by the statue but you will only get a view of the statue from behind. 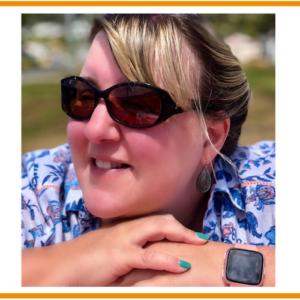 Tracy’s Top Tip – if you are visiting in winter I strongly suggest you wrap up warmly! It was minus 7 the day we visited the mermaid and we were glad of the hand warmers, hat, scarf, gloves etc we were wearing (and still froze!) 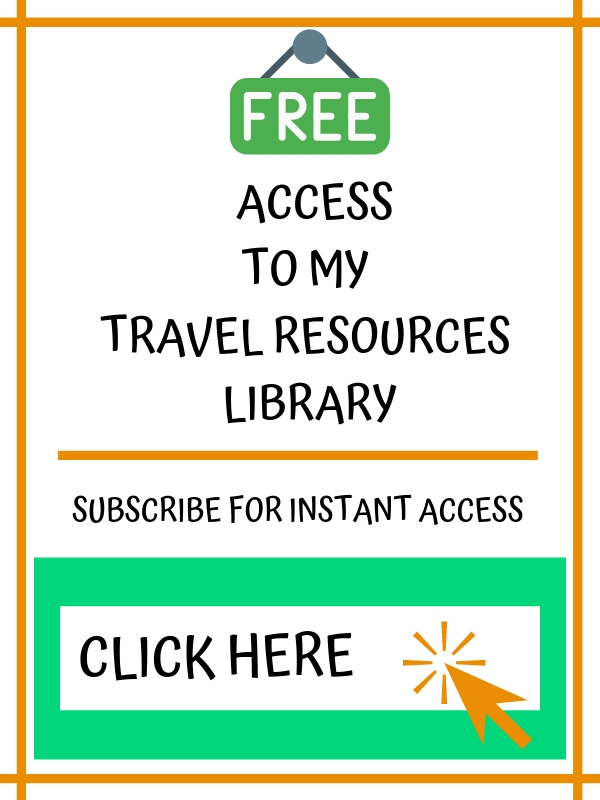 Read my recommended packing list for visiting Europe in winter to ensure you have everything you need. 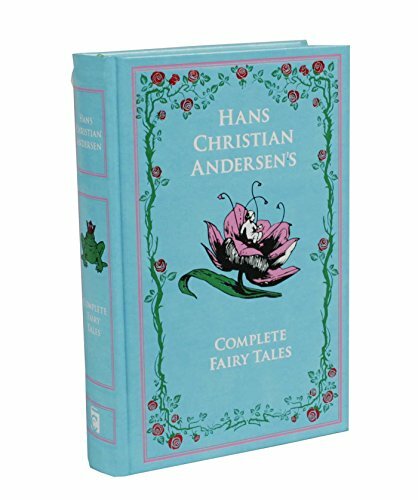 A beautiful collection of the fairy stories of Hans Christian Anderson. 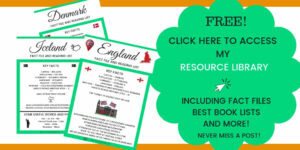 These are lovely tales to share with your children or grandchildren. 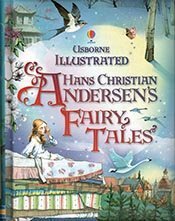 If you are interested in re-acquainting yourself with his fairy tales this beautifully illustrated book features a collection of fairy tales by Hans Christian Andersen retold for younger readers. It includes ‘The Emperor’s New Clothes’, ‘The Little Mermaid’, ‘The Ugly Duckling’, ‘The Snow Queen’, ‘The Princess and the Pea’ and other classic stories, as well as a short biography of Hans Christian Andersen. 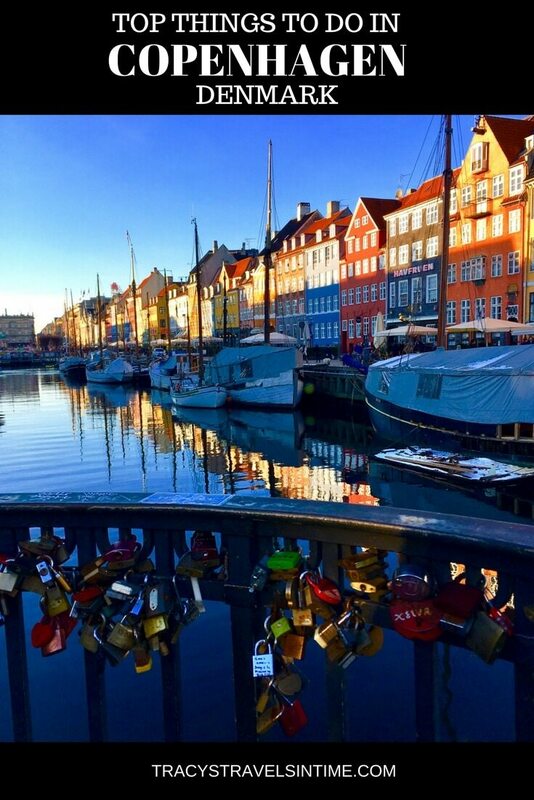 If you are travelling to Copenhagen with family here is a great guide to things to do in Copenhagen with small children to get the most out of your stay. Paper Island is closed! Reffen is open! The best place to eat in Copenhagen was Paper Island. It was also the cheapest. Denmark, like the rest of Scandinavia, is very expensive and much as I would love to have eaten in Noma (the 3 Michelin starred world famous restaurant in Copenhagen) our budget simply wouldn’t stretch. 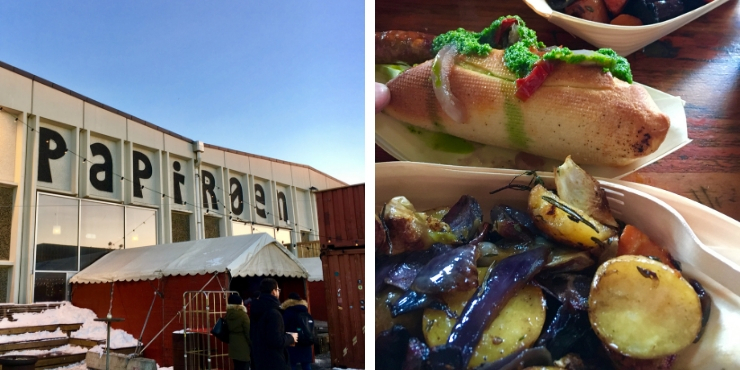 Well in May 2018 a new street food mecca opened in Copenhagen. Reffen is the largest street food market in the Nordic countries and is located on Refshalevej (see map below) It is operated by the same people that ran Paper Island and occupies a site 3 times as big! So although I am a little sad that Paper Island is no more I can’t wait to visit Reffen! 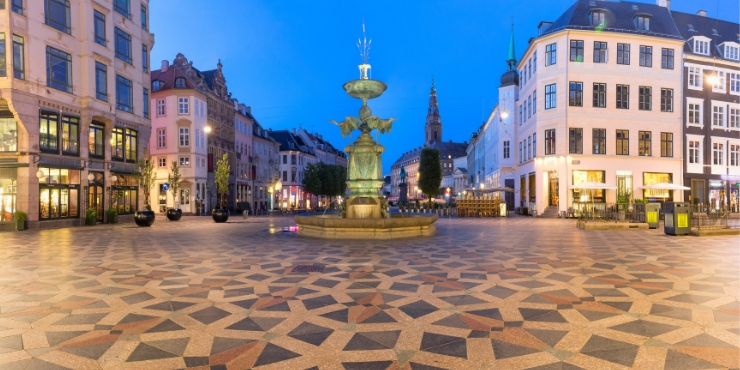 Strøget is the main pedestrianised shopping street in Copenhagen and one of Europe’s longest. Wander up it and off its side streets and stop for coffee/hot chocolate/tea and cake! Find the Round Tower or Rundetaarn. It is Europe’s oldest functioning observatory and was built in the 17th century. Walk up the spiral ramp to the top and enjoy panoramic views of the city. Admission costs DKK 25 and the tower is open daily between 10 am and 8 pm. Once you have climbed the Round Tower head to another indoor food market called Torvehallerne. 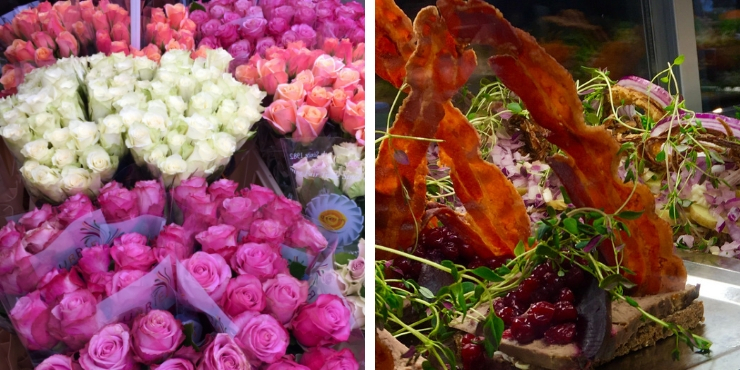 Food at this market is a little more expensive than on Paper Island but its a lovely market to visit with some beautiful Danish produce for sale. 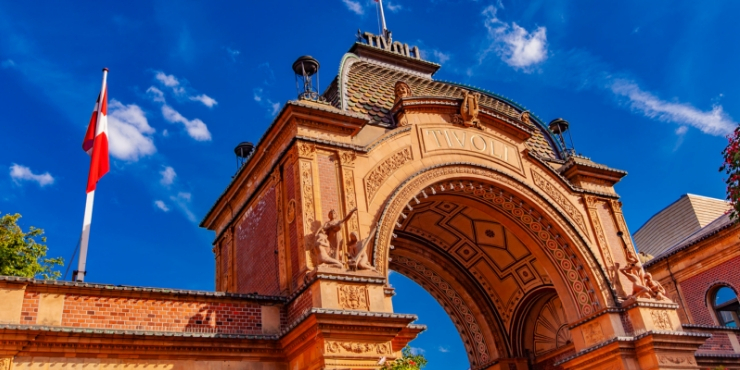 The second oldest amusement park in the world Tivoli Gardens opened in 1843. As well as rides and other fairground attractions there are concerts and music performances regularly held in the gardens. Give yourself at least half a day to visit and do check out the website for seasonal events. I have heard that Christmas at Tivoli is particularly special! 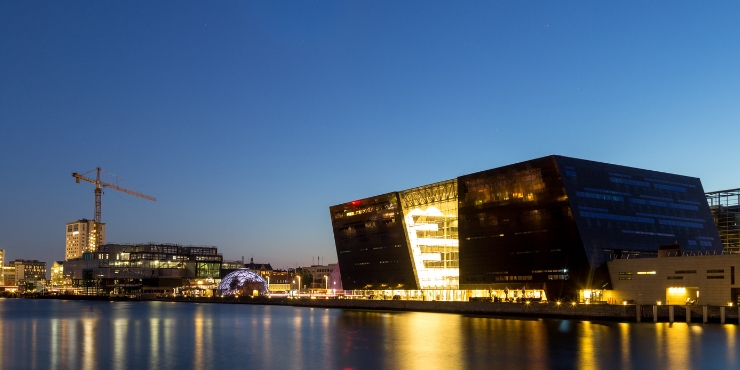 The Royal Library or Black Diamond is unmissable when you are on the Copenhagen waterfront. Inside there is a cafe, concert hall and bookshop. 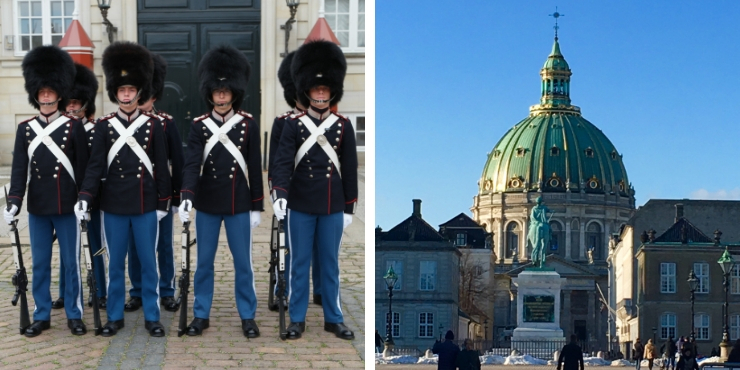 Amalienborg Palace is a museum and present home of the Danish Royal Family. The daily changing of the Royal guard (Den Kongelige Livgarde) takes place at 12 pm every day and is not to be missed. 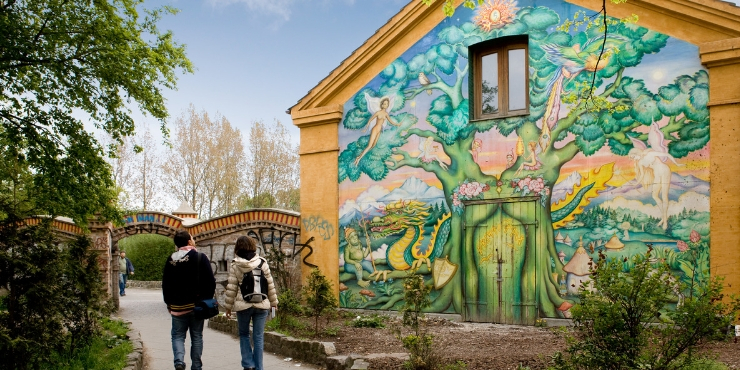 Christiania is an area of Copenhagen which is totally independent of the Danish government. It was established in 1971 by a group of hippies and is today still inhabited and is a mix of homes, art studios, eateries and music venues. Why not pop over to Malmo in Sweden? If you are staying in Copenhagen for a few days why not pop over to Sweden? Malmo is just across the water and can be reached by crossing the Øresund Bridge. 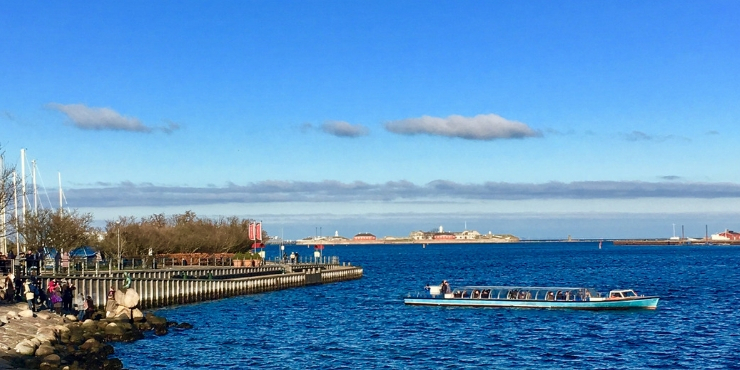 If you are considering adding a trip to Malmo into your Danish itinerary take a look at my posts – “How to travel to Malmo from Copenhagen” and “Things to do in Malmo” to help plan your visit. 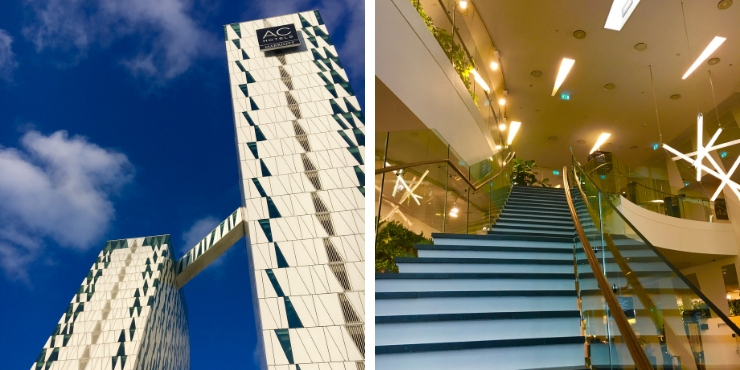 We stayed at the Hotel Bella Sky which is a 4 * hotel situate near the airport. It is in a beautiful modern building and is only a short trip by train or bus into the city centre. We found it very comfortable and would recommend it to families or couples looking for a boutique option near the airport. Don’t miss the views from the Sky Bar which are lovely. For more information about the Hotel Bella Sky read my comprehensive review of the accommodation. Alternatively there are lots of options available in Copenhagen from booking.com. With free cancellation on most bookings they are my preferred option when reserving accommodation. 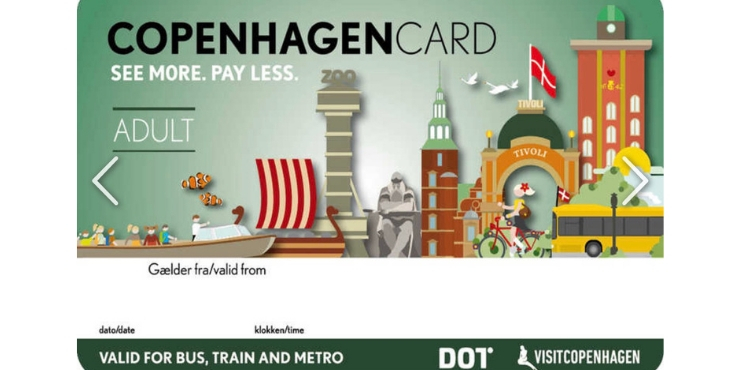 Purchase a Copenhagen Card which gives an all access pass to public transportation in Copenhagen as well as free access to over 80 museums and tourist sights. Denmark is in the EU but they do not use the Euro. Make sure you have some Danish Krone with you though most places accept cards too. If you decide to pop over to Sweden take your passport and remember that Danish Krone is different to Swedish Krone. Be aware that there are bicycles everywhere. There are cycle lanes but bikes do seem to hurtle out of nowhere so you do need your wits about you to avoid being flattened. Copenhagen is a very walkable city so make sure to pack comfortable shoes. 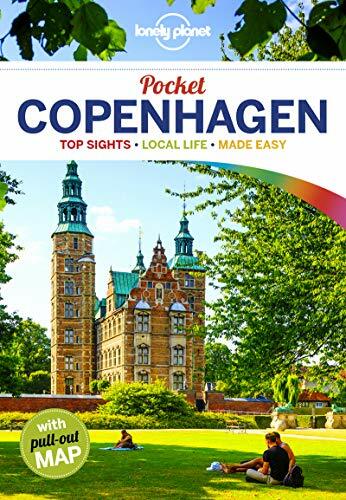 My top 10 things to do in Copenhagen – Nyhavn, Tivoli, the Little Mermaid, Paper Island (now Reffen), the Royal Library, the Round Tower, Christiania, Amalienborg Palace, Torvehallerne Market and the Strøget. 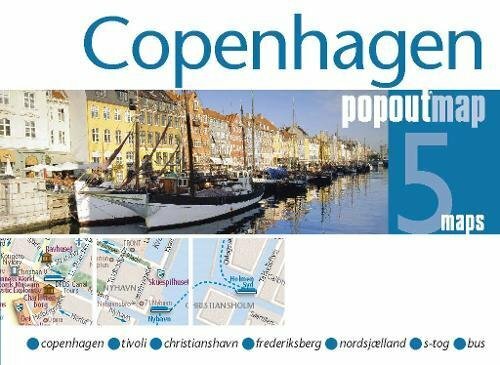 Do all of these and you have seen the major sights of Copenhagen! This is such a great city guide, Tracy. Love those colourful houses and all your suggestions for things to see. Copenhagen is high on my list, saving these tips for our trip. 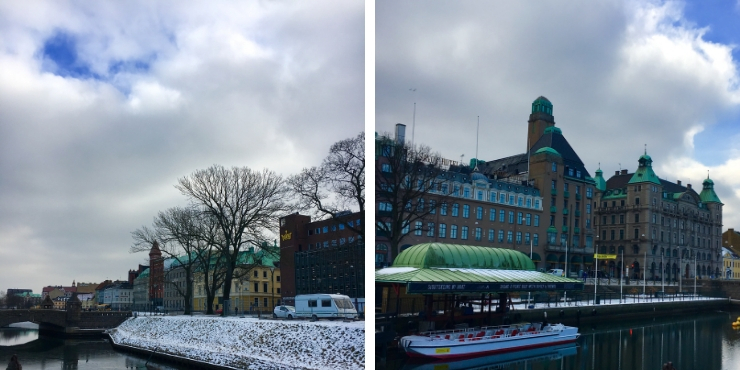 Thanks Kara – I will go back in summer or at Christmas next time when Tivoli open! I was like that so said the time is NOW!! We ate there every day – it was still expensive but not as expensive as it could have been eating elsewhere! It was freezing – but the weather was lovely so can’t complain. Yes apparently taking photographs is a no-no in Christiania especially around pusher street. I’m headed to Copenhagen in June! I read about the area with all the street food and was planning to visit.. I didn’t know it was called Paper Island! I should tell my kids that when we’re there. “Hey, we’re on Paper Island!” and see how they react. Have a wonderful visit it is an amazing city! Thanks – it is a fab place! Love this! Copenhagen’s been on my list for a long time! It is a pity as it was amazing! It is a lovely place! I would definitely go there next time! Copenhagen is such a beautiful city! Great guide! I’m not surprised you ate at paper island everyday – its fab isn’t it! It was great when we went as a family and there were 7 of us cos we got to try loads of different food. So glad you loved the city – we did too! It was fab Alex! Great food! There were loads of people around the statue but we did walk up to it on a Sunday afternoon and as it was a beautiful (though cold) day I think a lot of Danish people were out walking too. I am glad we saw it to be honest! Copenhagen looks like such a beautiful place to visit! Nyhavn is so picture perfect, would love to photograph although I imagine we would end up spending hours there! Will definitely head to Paper Island when we do go! love trying local food 🙂 Thanks for sharing the tours too, will check those out – they are always a great time saver! Nyhavn is instantly recognisable, you photographed it well with the reflection too. The day trip to Malmo must have been interesting, that is one of the longest bridges in the world you crossed. I look forward to your Malmo post! Great post. My home town in Scotland – East Kilbride, is twinned with Ballerup in Denmark. I was supposed to go there on an exchange program back in the 80’s when I was a teenager but got waylaid (long story) and didn’t. My friend’s spent most of their time in Copenhagen smoking hash in Christiana, and hardly spent any time in Ballerup. Your post brought back lots of memories of the stories they told. Nyhavn looks like a lovely place going by your pictures. Such an amazing city full of such variety, and colour! I went a few times as a child so I would really love to re-visit through my adult eyes and experience it differently! Whaat!! How come I’ve never heard of Paper island? I’ve been to Copenhagen twice! Unfortunately both times in the winter, so I couldn’t go to Tivoli gardens either (closed). I love Copenhagen, though. Nyhavn is gorgeous! It is lovely! Definitely try to get to paper island next time its straight across the bridge from Nyhavn! I have been wanting to visit Copenhagen for a long time! I love Hans Christian Anderson and his fairy tales. I never knew about the HC Fairy-Tale House, but that would be a place for me to check out! I always hear such great things about locals in Copenhagen and their style. They truly have the best local shoe shops, which I am sure I can find on Stroget street. Thanks for all your tips. I’ve yet to visit this part of the world simply because it’s so expensive but thanks for the tip on Paper Island – I would definitely head over there for some eats! So cool that you can just cross over to Sweden! Thanks Lydia – it is expensive but worth it! 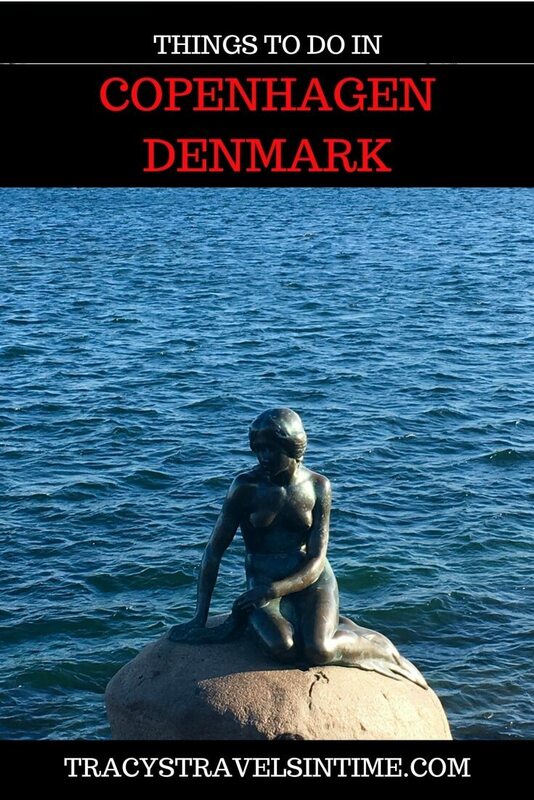 I can’t believe that a blogger would write about going to see the little mermaid statue but not knowing why it was famous or in Copenhagen! So sad. I would love to see it in person someday, along with many of the other sites you mentioned in this post. I love that you can also just pop over to Sweden and check out a city there. With so many cheap flights to Copenhagen from the States, I will have to move it to the top of my list. I know – I was totally gobsmacked too!! Definitely try to visit as it is a lovely city! A lovely round up with some great photos! I love cold wintery breaks so Copenhagen could be one for us this winter! The fish market looked great too. I love visiting markets in all the cities I visit, it’s kind of a hobby at this point! I do too!! Always a lot to see! Definitely recommend Copenhagen for a winter break! I truly loved visiting Copenhagen and your photos definitely took me back to all the things I loved the most about my visit!! Gorgeous pictures, too!! Thanks Ruth – I am glad we crossed over the bridge to Sweden! Great Article! I Love Copenhagen’s thank you for your sharing! We spent a couple of days in Copenhagen last September (we also lived there three years nearly 10 years ago now), and I had no idea Paper Island even existed! It would have been convenient to feed our 4 kids! Thanks for the tip! I think it is fairly newish – we loved it and a great place for everyone to eat as they can choose what they want as so many great choices! Awwww I would have loved that ride!! I would have really loved to meet up with you – maybe next time? We loved it and glad you enjoyed the video!! Brilliant Vlad! Have a wonderful time it is a lovely city! Me too!! Usually with a camera in my hand!! They go so fast!! We loved it too – and that boat trip has to be done!! Copenhagen really does look amazing! It’s one of those pesky cities that are just a bit too expensive to fly to when there are flight to Germany and France for £15. The Nordic countries are relatively close to scotland, but not that easy to get to! I’d love to go and explore the nordics for a few months! Posts like this really inspire me! I would recommend it Chiera – or fly to Germany and catch a train as thats a cheap option! I’m super obsessed with Scandinavian and Nordic countries and can’t wait to visit Copenhagen one day! Nyhavn is a lot like Bryggyn in Bergen, Norway. It’s just so picturesque! What a great guide you have posted. I sure hope to make it there soon. 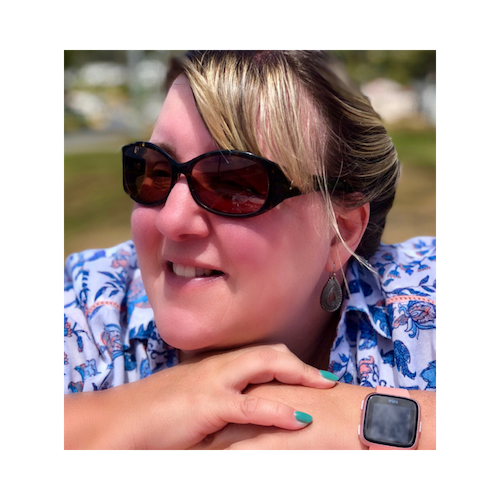 I am going to Ireland for TBEX in October so am wondering if I should try and fly over there via Copenhagen – coming from New Zealand, it’s a long trip for a conference so I might as well try and make the most of being in the northern hemisphere! I would definitely say DO IT!! If you are coming all that way then make some detours!!! The food market was a tipoff from Erin! Definitely visit its a great place! Thanks Catherine! They will have a great time! Thanks Jo we were so lucky with the weather! I loved Denmark. I’d also add visit La Louisane about 40 minutes up the coast – love it! Thanks Lydia – a must for our next visit perhaps! Copenhagen looks clean, crisp & colorful. Fab post! I spent a weekend in Copenhagen and loved it. Of course I had to see the Little Mermaid and I was not disappointed, its so cute. Thanks for sharing on #TheWeeklyPostcard. Thanks Janine I really want to go to Tivoli and a return visit will happen at some point! -20 arghhh that is soooooo cold!! Such a beautiful guide. We visited in January when it was freezing outside but we still had a good time there. We tried to find the mermaid but we start to freeze so we decided to skip it that day, anyway is not that impressive, We did took the train to Malmo for one day and we absolutely love it, crazy how easy is to get there. Thanks for sharing. Thanks Oana – we had a lovely time too and it was freezing! It was so cold walking out to the mermaid but it was such a lovely day and a nice walk in the end. I love Copenhagen. We rented ebikes and pedaled our way leisurely around the city. Thanks for linking in this week at #wkendtravelinspiration! 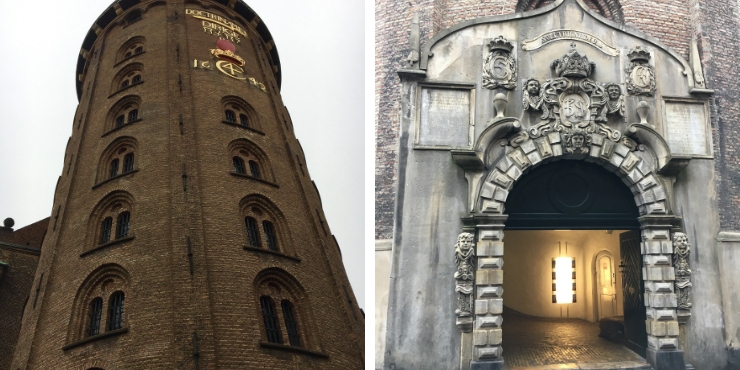 Great post – Copenhagen is an amazing place and there is so much to see and do. Glad you went to Papiroen – I didn’t get a chance to go (partly because I didn’t know about it) but definitely something I would love to do on my next visit. Great photos as well – thanks for sharing! I would also love to go at Christmas! I bet it is lovely in Tivoli! We’ve read quite a few posts about Copenhagen, but don’t recall having read about Paper Island! That’s a serious miss…seems like a great place to grab a bite! Also, love that you squeezed in a little bit of Sweden. 🙂 Definitely need to make our way to this part of Europe! Thanks guys! Yes Paper Island is a must-visit! Thanks Jonny! Paper Island is a great place to eat! Thanks Suzy! I love the stories! Such great tips and great guide. Copenhagen looks colourful. It looks like a brilliant place to visit and my eyes lit up when I saw the food! Wow -7 and freezing? 😀 Do not go to Estonia in the winter then! Although after living in Australia and skipping two winters, I’ll be sure to freeze in Nepal too haha! I went to Copenhagen more than ten years ago now and have lost most of my memories, but your beautiful photos do bring some of them back. Oh and do not read so many blog posts before you go to a new place haha! Leave some room to discover. (Says the person currently reading up all about Bali hahaha) Good work on this darling! hahaha you have to read other blogs its the law when you are a blogger isn’t it!! It was the coldest I have ever been apart from Norway and I lived in the French Alps! To be honest with the wind chill i reckon it was minus 34278 degrees!! I haven’t visited Copenhagen yet but it looks like an interesting place. Paper Island also look great but that snow! Since leaving the UK 9 years ago I’ve turned into a right wuss and just can’t stand the cold anymore! I love the snow but I know what you mean – I lived in the southern hemisphere for years (Africa) so it was a shock for me at first! Copenhagen looks like it has leaped out of the pages of a fairy tale. The city has the old world charm of most European cities. Would love to visit this lovely place some day. It certainly has! Hope you get to visit! I love this list!! When we were in Copenhagen, we only had a day and wish we could’ve seen more!! It’s such a great city!! Can’t wait to see what you share on FlyAwayFriday this weekend! Thanks Chloe – South Africa this week!! Copenhagen is on my bucket list! These things are amazing and If I go I will do them! Fantastic – enjoy it when you get there it is a great city!